Want to try Mike’s Mix for free? 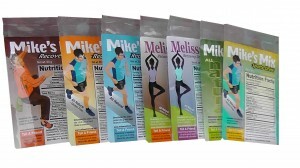 Try Mike’s Mix for free! We know as a new customer it is a commitment to purchase a multiple serving container or bag when there is no way of knowing if you’ll even like the product. We’re pretty sure that you are going to love our products but it’s nice to have the option to try before you buy. Therefore, we are more than happy to send you up to two samples for simply the cost of shipping.